Another of my favourite themes. Over the years I’ve done many designs in lots of different mediums on this subject and I never tire of hearing new interpretations on the myth/legend/story behind this genuinely ancient symbol. 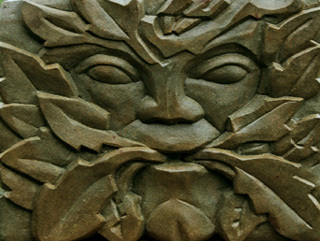 I have compiled an album of images to illustrate my take on the Green man – click on the above image to visit the album.